Here at The Noble Paperie, we want to support women walking through miscarriage, infertility, and other pregnancy-related issues—because we've been there, too. Please use our following Care Library to help support yourself or a loved-one during a challenging season. Our hope is that the sources below offer comfort and support to the woman with a Mama's heart: the woman aching for a baby and the mama in wait. This library is really growing, so please find quick-links to each care section directly below, each filled with a plethora of resources. And if you know of a great resource that isn't listed here—we would love to hear about it, so please send it our way. In an effort to support community, spread joy, and lift up those struggling through miscarriage, infertility, child loss, and other pregnancy-related issue, we want to ensure our followers that the following are resources we are proud to share. Please note that none of the communities or links below are affiliate links, all are placed here based on their merit and the fact that we thought they would be a useful tool for this community. We have established community-based relationships with some of the companies or resources below, but want to be up front that we receive nothing in return for sharing the resources for our Care Library with The Noble Paperie community. We believe in supporting women during their walk to motherhood, and want to offer honest, useful, and current resources to this community during a time of need. Some of our favorite supportive links to articles, blogs, lists, and stories of miscarriage, pregnancy-loss, and inspiring stories of motherhood. Links to websites and online communities supporting women during seasons of miscarriage, still birth, infant loss, and infertility. The Morning is a community of hope for women finding joy after miscarriage, stillbirth or infant loss. They provide opportunities for community as a reminder that you are not alone in your loss. They also provide resources to help navigate through your loss with hope. Dr. Jessica Zucker is a Los Angeles-based psychologist and writer specializing in women's reproductive and maternal mental health. Jessica specialized in this field long before experiencing a second trimester miscarriage firsthand. Jessica created and launched the #IHadAMiscarriage campaign with her first New York Times piece in 2014 with the aim of addressing the cultural silence. 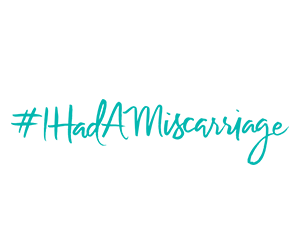 The @IHadAMiscarriage Instagram account is particularly poignant and Jessica posts applicable stories and images to promote women's reproductive and maternal mental health. RESOLVE: The National Infertility Association, established in 1974, is dedicated to ensuring that all people challenged in their family building journey reach resolution through being empowered by knowledge, supported by community, united by advocacy, and inspired to act. Resolve exists to provide access to care, advocacy for coverage, access to support & community, access to education, awareness of all family building options. Pregnancy After Loss Support (PALS) , a 501(c)3, is a community support resource for women experiencing the confusing and conflicting emotions of grief mixed with joy, during the journey through pregnancy after loss. They seek to help expectant mothers celebrate their current pregnancy by choosing hope over fear, while still nurturing and honoring the grief over the loss of their deceased child. Still Standing is an online community to support women in the face of loss and infertility by showing the world that we are still standing. Holding fast to resilience and hope, their mission is to help women embrace life for everything that it is after experiencing the loss of a child or infertility. The focus of the publication can be broken down into three parts: giving a voice to grief, connecting hearts around the world who have similar life experiences, and becoming a resource for friends, family and medical professionals, to know how to support someone enduring child loss and/or infertility. LOOM is weaving together uncommon threads and exists to provide education and community to empower people throughout their reproductive, pregnancy and parenting journey. Celebrating inclusivity and choice, LOOM is an entirely new approach to the health education experience. They are curious and dynamic, challenging the conventional and making space for individual instincts and the latest research. Although LOOM and their classes are based in Los Angeles, California, they do offer some virtual classes and sessions. Perhaps one of the services we find most applicable is that of the Loss Doula: Support for Non-Birth Outcomes. We are thrilled that they offer the following sentiment when talking about their Loss Doula service: "we believe that people deserve access to supportive services for both birth and non-birth outcomes." It’s Positive! was founded in 2015 with the mission to provide Gospel-centered encouragement, strength, and hope to those struggling with infertility. It's Positive is run by Meredith, a passionate Christ follower, wife, dog-mom, and freelance writer from Chicago—and she is currently battling infertility and PCOS. Meredith is enthusiastic about Jesus and His saving grace in her life. Her prayer is that you find strength, freedom, and encouragement with her through It's Positive! When something bad happens to someone we care about—illness, loss, or the like—we often don’t know what to say or what to do. So too often, we do nothing, fraying relationships and leaving those we care about feeling unsupported and isolated. Supportal is looking to change that by helping you turn empathy into action. Supportal features first-hand accounts of people who have experienced life-changing challenges—and has an entire section on their website devoted to grief and loss, with many posts devoted specifically to pregnancy-loss. Subscribe to our curated playlist on Spotify! Or, listen to individual episodes and full podcast series that tackle tough topics surrounding miscarriage, loss and grief. 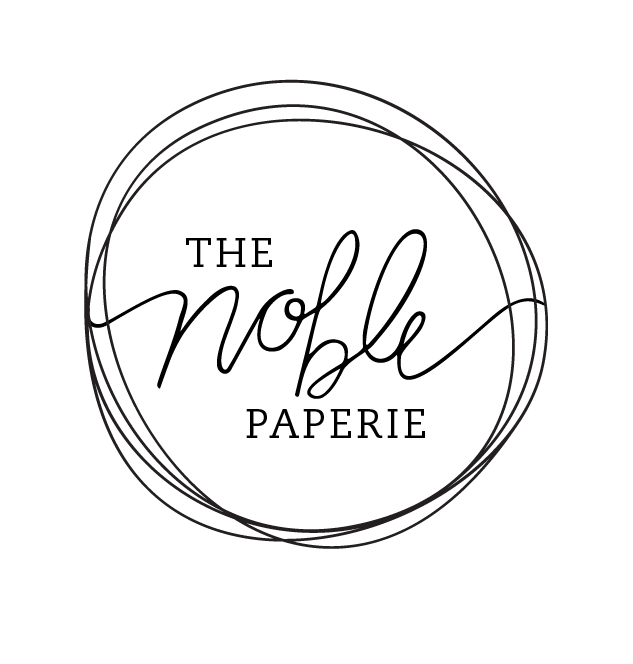 We have been hard at work on a Spotify community for The Noble Paperie brand and are proud to share it here! Studies have shown music can be an effective pain reliever and we want to share some of the songs that were poignant during our own loss. We hope this playlist will continue to support women struggling with miscarriage, infertility, and other pregnancy-related issues through music! Check back often as we continue to build community in this space. The live-workshop style business podcast that is helping thousands redefine success and chase bolder dreams. You can train from the experts on how to dig in, do the work, and tackle your biggest goals along the way. Host Jenna Kutcher takes a time-out from her typical podcast style to share her very personal experience with her own miscarriage. Managing Miscarriage is a podcast hosted by Melissa Wittman where other women share their stories of loss from miscarriage. Listening to other women share about their experiences through miscarriage can be a therapeutic way to heal when you're in the thick of your loss. The Joyful Mourning is a podcast with honest conversations from real women as they share candidly about their own experience of loss and what it has looked like for them to navigate grief. If you have experienced the loss of a baby and are searching for hope and joy and just another mama who understands what you are going through, then this podcast is for you. 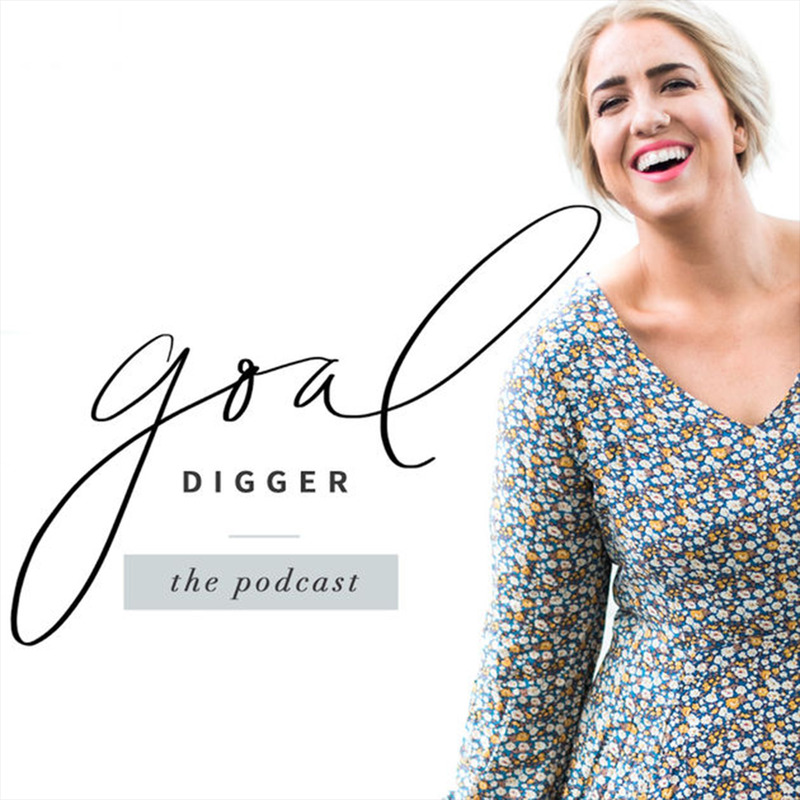 If you are a friend or a family member of someone who has experienced the loss of a baby and are looking for ways to intentionally care for and love the one grieving, this podcast is for you too. Erica M. McAfee helps black women gain clarity and peace no matter life's challenges, circumstances, and hurts. She loves encouraging those who have experienced a miscarriage, infant loss, or infertility. She wants to empower these women to share their stories, to help inspire others and let them know that they are not alone. Join Erica weekly as she shares stories of grief and pregnancy-loss on her podcast, and through her journey as a special needs mom. The What’s Your Grief Podcast is hosted by Eleanor Haley and Litsa Williams, two mental health professionals, that seek to leave no stone unturned in demystifying the complicated and sometimes crazy experience of living life after loss. With one digestible topic at a time, Haley and Williams distill topics ranging from grief theory to coping. Although this podcast isn't specific to miscarriage or child loss, the overall themes of moving through the grieving process are super helpful... and the fact that it's hosted by two down-to-earth ladies that make you feel comfortable in your own skin, gives you just one more reason to listen. The Messy Roads of Motherhood Podcast is a show featuring women sharing their journey to becoming moms. Host Sarah Aschkenas hopes for the podcast to give women a place to freely share their story, because each and every experience is worth being told. The topics range from infertility, adoption, and loss, to single-motherhood, blended families and everything in between. Nothing is off limits so every guest can speak candidly about their story! Please note that Sarah is currently taking a break from curating new episodes at the moment, but all previous episodes can still be found on their website and iTunes. Motherbirth is beautiful podcast hosted by Melissa Reeves (a mother + doula) and Laura Rice (a labor and delivery nurse + aspiring midwife) that shares vivid and inspiring birth stories, meaningful advice from guest experts, and honest exploration of what is means to become a mother. They hold firm to the belief that "not just babies are born, mothers are born too." It's worth subscribing to listen to all episodes of this podcast, but Episode 29 specifically, was heart-wrenchingly beautiful. Melissa and Laura invited Lindsay Ostrom from A Pinch of Yum onto the podcast to share the moving story of delivering her son at 23 weeks, and how she chose to spend their few precious hours together. There is so much beauty and truth in this episode—it is very much worth a listen. The following are our favorite links for gifts and mementos to support loss-mamas and mamas in waiting. Whether you're a loss-mama yourself looking for a special item of remembrance, or a friend or family member looking to send comfort their way, we are hoping the options below will help you spread love during a time when they are most in need of your support. After four years of fertility treatments and being told she would never have any children without the assistance of an egg donor, Sue of Conceivable Designs felt deeply indebted to the doctors and staff who helped her have her miracle baby. In her spare time, Sue creates Infertility Support Greeting Cards. These Infertility Cards were her creative outlet to help heal after a long, wonky and ultimately failed frozen embryo cycle. Sometimes it’s hard to find the right words to express your sentiments to couples who are braving the world of fertility treatment. These cards will help show your family member or friend that you are here to support their journey. In 2015, Dr. Zucker created a line of pregnancy loss cards with the aim of filling a gaping hole in the cultural conversation and in the marketplace. Jessica's goal with this collection is to help people have the tools to connect after loss, providing the antidote to "I just don't know what to say". After walking through a miscarriage, and then an incredibly complicated pregnancy, Kate created her first six greeting cards to support loss mamas and The Noble Paperie was born. Since 2016, The Noble Paperie’s mission has been to support women walking through miscarriage, infertility, and other pregnancy-related issues by offering uniquely crafted paper greetings, and a supportive community. After experiencing a miscarriage herself in 2015, Krystal founded her ministry With Love, Genesis & Joy. Named after her two babies - one in heaven and one on earth - Krystal set out with a simple idea in mind: to reach loss moms through handwritten cards. All cards are specifically written just for the recipient, using a variety of cards, but they are always handmade, hand-painted, or hand-lettered in order to stay true to what this ministry is about. Her core belief is highlighted so beautifully in her ministry: "From one loss mom to another: the number of physical babies you have doesn't make you a mom; it's the number of babies you hold in your heart." Sarah began sculpting remembrance keepsakes and memorial ornaments after the loss of her son Logan Forrest. She now sculpts ornaments for grieving parents around the world who have experienced miscarriage, stillbirth, SIDS, neonatal loss, pregnancy loss and infant loss. Sarah says that creating these keepsakes for other loss-mamas has helped her to heal from her own loss. It is A Beautiful Remembrance provides a beautiful selection of thoughtful gifts that encourage, provide hope, and offer comfort to those grieving the loss of their little ones. They are honored to be entrusted with creating art that represents every member of the family, including those that have passed on. 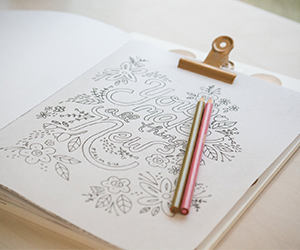 If you have experienced a miscarriage, still birth, or infant loss— this coloring book is for you! It also makes a thoughtful gift for a friend going through the devastating loss of a baby. It is a beautiful collection of over 25 inspiring pages designed by artists from Alaska to Hawaii, from East Coast to West! The pages include a variety of styles, ink drawings, and digital creations. Many of the artists have experienced miscarriage or infant loss, and on the back of each page they share encouragement for the grieving heart. It's also available on Amazon Prime! Bethany of Little Oak Studio creates custom watercolors, and hosts a beautiful collection of prints available on her Etsy shop—many of which are applicable for loss-mamas. Pick a print available in her shop, or contact her for a custom order. Bethany is inspired by the mountains, plants and animals, and all things vintage and retro. She works hard to bring hers and her customers' ideas to life in a realistic, detailed way. Now I Lay Me Down To Sleep trains, educates, and mobilizes professional quality photographers to provide beautiful heirloom portraits to families facing the untimely death of an infant. They believe these images serve as an important step in the family's healing process by honoring the child's legacy: that in the midst of barrenness and grief Jesus was their constant comfort. They have gifted more than 40,000 complementary portrait sessions since 2005 and have approximately 1,500 active photographers, reaching every state in the United States! They have also been present in 40 countries worldwide. Now I Lay Me Down To Sleep also host a Remembrance Walk to remember and honor babies gone too soon, and to raise awareness of pregnancy and infant loss. Weathered Raindrop creates beautiful, handmade memorial wind chimes, and many are created specifically for mamas walking through miscarriage or stillbirth. A wind chime would be a unique gift to offer the special loss-mama in your life, and to give her an audible reminder that her babe is always with her. Over one, six, twelve, or more months, Hopebox provides a way to show loved ones you're there and you're not going anywhere. The beautiful handmade gifts inside are personalized with a heartfelt note of caring and concern specific to the receiver's unique situation. Flowers wither, meals spoil, but the memory of receiving a Hopebox lasts a lifetime. Thoughtfully Hand-Curated Small Batch Gift Boxes Designed to Nourish a Heart After Loss. 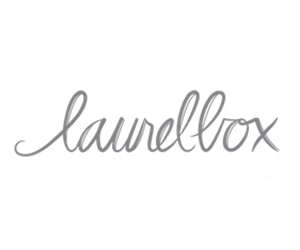 Each and every laurelbox is presented with their premium packaging and personal touches. During checkout, you have the option to include a gift message that they will hand-write on your choice of a complimentary card. Not sure what to say in your card? These two phrases are gentle and sensitive. "We pray that this gift nourishes your heart. I am so sorry for your loss." They also have a beautifully curated blog called Motherhood Rewritten which shares stories to support women feeling excluded on Mother’s Day. Lemons and Confetti was formed with a simple goal in mind: to create meaningful and desirable gifts for women who are going through tough stuff. Their carefully thought-out gift themes are designed to meet a variety of needs. Lemons and Confetti also buys locally (woot!) and from other female-owned businesses as often as possible (double-woot!). Gift themes are revolving, but they will always offer empathy focused boxes as well as celebratory themes. Lullaby of Hope believes that in the midst of barrenness and grief Jesus is a woman's constant comfort. They are choosing to share what they have been given through, with their comforting, curated gift boxes. Their hope is to point women to Jesus and empower them to share their story too. The Milky Mudra is based on a concept of creating a gesture of remembrance, using your very own breast milk, preserving it and setting it in resin. Because they never use any additives or coloring, the stone that is created is purely your own milk, preserved perfectly to hold onto the memories that fade with life's journeys. Each piece is created with love and attention to detail. The Milky Mudra works to empower women and children to be proud of who they are and how they got there by remembering each step along the way. These are truly beautiful, one-of-a-kind pieces that will honor any loss-mama and babe in the most unique way. Each Dear Mushka, piece is inspired by scripture and comes paired with a corresponding verse card. They recommend saving the verse card and adding it to a bathroom mirror, kitchen sink, or computer and letting the words sink into the recipients heart. Dear Mushka, has pieces developed specifically for miscarried mamas and loss mamas in their shop, each paired with an uplifting verse. Le Papier Studio has been helping parents keep memories close since 2008. Their products celebrate moments by turning them into heirlooms to be cherished and passed down to the next generation. Their mission is to inspire women to keep memories close and cherish the magic of special moments forever. From treasured pictures, Le Papier Studio create one-of-a-kind heirloom pieces: silhouette portraits and exquisite jewelry, and perfectly personal accessories destined to become family heirlooms and passed down to the next generation. Sharing Solace is a community of grievers for grievers. They know how debilitating and isolating grief can be, and want to help people find the meaning and strength to get through the difficulties of life. Sharing Solace is here to help you walk along your unique grief path, by providing a community of grievers and also offering unique keepsake tokens to support women walking through loss. Here at The Noble Paperie, we want to support women walking through all sorts of motherhood journeys. One of those specific journeys, can be a neonatal intensive care unit (NICU) stay. Oftentimes this is incredibly stressful time, full of unknowns, and what seems like neverending visits to the hospital. After our founder experienced a 34-day NICU journey with her son, we wanted to ensure that NICU mamas could find support through The Noble Paperie as well. Below you will find links to different e-books, blogs, articles, websites and communities that are providing support and resources to families during a NICU journey. We hope that these resources help to lift part of the burden of unknowns during a NICU stay. As always, a portion of the sale of each of The Noble Paperie’s products goes directly to Miracle Babies—a nonprofit supporting families with babies in the Neonatal Intensive Care Unit (NICU). You can watch more about our personal NICU journey through a video we created of our NICU stay, here. A quick dive into the NICU experience. It answers questions like, ‘what is the NICU?’, ‘who can visit?’, and ‘how can I help care for my baby?’ A great resource for first-timers, or for family and friends that may not understand your NICU experience. Kara Wahlin is a marriage and family therapist and creator behind NICUHealing.com. She joins Every Tiny Thing for a guest blog post outlining the NICU experience, and giving seven steps to finding help if you’re struggling through depression in the NICU. Postpartum can be especially prevalent if you are spending time with your baby in the NICU. This post demystifies eight different types of psychotherapy treatments available for Postpartum Depression. Being in the NICU for the first time presents many new issues for parents. If you’re struggling, sometimes the best resource is to talk to a counsellor or therapist. If you have never had to look for one, that task may seem daunting. WebMD has put together a resource for the best ways to find the right therapist for you and your situation. Sharp Mary Birch Hospital for Women and Children is one of the leading hospitals in the country for women’s reproductive health. They also have one of the largest NICUs in the state of California. They have created an extremely useful resource for parents and caregivers walking through a NICU stay. Connected is a free ebook by Trish of Every Tiny Thing, as a resource for NICU families to find strategies to bond with their babies. As a NICU nurse, Trish has incredible insight and developed an indispensable resource for parents walking through a NICU stay. This glossary of terms was one of the most comprehensive we could find. It includes sub-groups, including a glossary specifically for medical staff, other members of the team, general NICU terms and common NICU disorders. An infographic and free printable outlining the health benefits of breast milk for NICU babies. Did you know human milk causes the intestines to mature faster and decreases infant health issues—all leading to less time spent in the hospital? This infographic also outlines other health benefits of breast milk for NICU babies. Are you unable to pump or produce milk yourself? See below for a link to Mother’s Milk Bank to receive breast milk for your NICU baby! NICU Awareness is a site designed to promote NICU Awareness Month—happening every September. NICU Awareness honors families experiencing a stay in the neonatal intensive care unit (NICU) and the health professionals who care for the them. In 2014, founding organization Project Sweet Peas joined other professional and parent organizations to raise awareness to the challenges faced in the NICU. They heartened the voices of hundreds of NICU families as they shared their stories and supported efforts to support NICU’s across the country. Please consider joining their community of organizations and individuals passionate about making a difference in the lives of these families. Trish, a NICU nurse for over 20 years founded Every Tiny Thing after seeing a need arise to support families walking a NICU journey. Every Tiny Thing offers specialty items specifically suited to the needs of all NICU babies— from resources to actual NICU journals, milestone cards, and crib art you can purchase, Trish has really curated a beautiful site full of resources and gifts to support NICU families. Hand to Hold helps families before, during, and after NICU stays and infant loss by providing powerful resources for the whole family, and most importantly, one-on-one mentoring for someone who has been there. Their website is an excellent place to engage in community, find resources, connect to a mentor or enter a support group. They even offer bereavement support and resources if your NICU Miracle isn’t able to make it home. NICU Helping Hands is a hospital based program that expands the support services and level of education provided to parents and other family members who are affected by the hospitalization of a newborn in the NICU. Helping Hands provides customized family support including parent support, parent education, sibling support, memory archiving, bereavement, and antepartum support. There is scientific evidence that breast milk and donor human milk is the optimal nutrition of choice for the most fragile and vulnerable infants in the NICU. Physicians are ordering donor human milk for infants who are in medical need in other hospital units, as well as at discharge, so they can be home with their families. The Mothers' Milk Bank of San Jose, operating since 1974, is a charter member of the Human Milk Banking Association of North America (HMBANA). Donor milk banks represent a safe and effective approach to obtaining, pasteurizing, and dispensing human milk for use in NICUs and other settings. If you are struggling to produce milk for your infant in the NICU, or once you head home, please reach out to your local NICU or hospital to see if they have an existing relationship with a donor milk bank. If not, you can also inquire with Mother’s Milk Bank directly to see if you qualify. Preemie Mom Camp is a gathering place for preemie moms to discover tips, research and personal stories so they can find comfort and community while their child is in the Neonatal Intensive Care Unit (NICU) and beyond. One in 10 babies are born premature, which means daily there are hundreds of moms up late searching the internet and social media for information, validation and support as they learn to navigate life in the NICU. Leah, of Preemie Mom Camp, is a three time preemie mom, a preeclampsia survivor, a mama to one angel born too soon, and a two-time NICU graduate mom. She works to foster a blog and community to support families before and after they journey through the NICU. Preemie Prints is a 501(c)(3) nonprofit organization supporting and sharing hope with families who have a baby born prematurely or critically ill. Their programs include: the gift of no-charge NICU & NICU graduate photography, giving the gift of handmade items, and online support. They donate handmade items to partner NICUs and to current NICU families. Check their website and NICU photography map to see if they have a photography volunteer near you! With 1 in 7 moms and 1 in 10 dads suffering from postpartum depression, there is a growing need for a resource. Parents with children in the NICU can experience higher rates of postpartum depression and Postpartum Support International provides direct peer-to-peer support to families and professionals, and provides a bridge to connect them. Helping a sick child fight their illness takes a big enough emotional toll on a family. Adding a financial strain can make it all almost too much to bear. Ronald McDonal House can help address those problems, whether they involve housing that’s near a hospitalized child, the expense of staying together in another city, or even getting basic medical and dental care in a vulnerable community. Ronald McDonald House Charities (RMHC) has local Chapters in more than 64 countries and regions with access to Ronald McDonald Houses, Family Rooms and Care Mobiles. If you are struggling through financials to visit your child in the NICU, or need help with housing, please check their website to see if there is a chapter location near you.